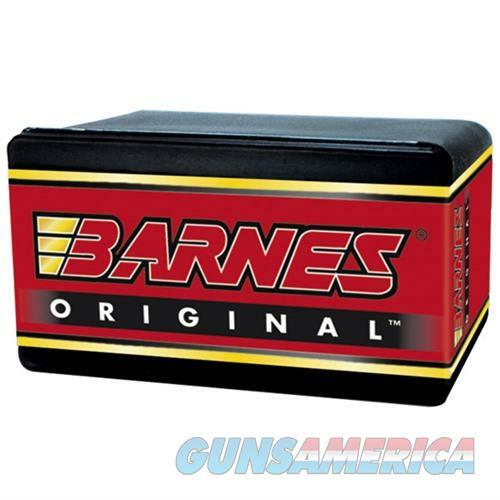 Description: Barnes Bullets 30611 458 Caliber (0.458") 300gr Semi-Spitzer 50/Box Just like the bullet designed by Fred Barnes in the 1930s, Barnes Originals feature thick pure copper jackets around pure lead cores for reliable expansion and deep penetration on big game. Flat-base (FB) FN bullets have flat noses with exposed lead front. Some calibers available in SS semi-spitzer profile. Barnes Originals expand to up to 200% their original diameter and retain 70% to 90% of their original weight, helping you anchor the trophy of a lifetime.